To view the webinar replay video or slides, "How to Achieve PCI Compliance for MySQL & MariaDB with ClusterControl", you must be signed in using your Severalnines.com account. If you don't already have an account you can create one in just a couple minutes. Just click on the "Login to View" button below. Join Laurent Blume, Unix Systems Engineer & PCI Specialist and Vinay Joosery, CEO at Severalnines, as they discuss all there is to know about how to achieve PCI compliance for MySQL & MariaDB with ClusterControl. 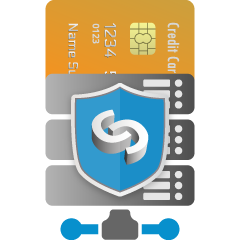 The Payment Card Industry Data Security Standard (PCI-DSS) is a set of technical and operational requirements defined by the PCI Security Standards Council (PCI SSC) to protect cardholder data. These standards apply to all entities that store, process or transmit cardholder data – with requirements for software developers and manufacturers of applications and devices used in those transactions. PCI data that resides in a MySQL or MariaDB database must of course also adhere to these requirements, and database administrators must follow best practices to ensure the data is secured and compliant. The PCI standards are stringent and can easily require a spiraling amount of time spent on meeting their requirements. Database administrators can end up overwhelmed when using software that was not designed for compliance, often because it long predates PCI itself, as is the case for most database systems in use today. That is why, as often as possible, reliable tools must be chosen to help with that compliance, easing out the crucial parts. Each time the compliance for one requirement can be shown to be implemented, working, and logged accordingly, time will be saved. If well-designed, it will only require regular software upgrades, a yearly review and a moderate amount of tweaking to follow the standard's evolution over time. This webinar focuses on PCI-DSS requirements for a MySQL or MariaDB database back-end managed by ClusterControl in order to help meet these requirements. It will provide a MySQL and MariaDB user focussed overview of what the PCI standards mean, how they impact database management and provide valuable tips and tricks on how to achieve PCI compliance for MySQL & MariaDB with ClusterControl. Laurent’s career in IT started in 2000, his work since evolved from POS terminals for a jewelry store chain to infrastructure servers in a government aerospace R&D organization, even touching supercomputers. One constant throughout was the increasing need for security. For the past 6 years, he has been in charge of first implementing, then keeping up with the PCI-DSS compliance of critical transnational payment authorization systems. Its implementation for databases has been an essential part of the task. For the last few years, it has expanded to the design and productization of MariaDB cluster backends for mobile contactless payments. Vinay Joosery, CEO, Severalnines, is a passionate advocate and builder of concepts and business around distributed database systems. Prior to co-founding Severalnines, Vinay held the post of Vice-President EMEA at Pentaho Corporation - the Open Source BI leader. He has also held senior management roles at MySQL / Sun Microsystems / Oracle, where he headed the Global MySQL Telecoms Unit, and built the business around MySQL's High Availability and Clustering product lines. Prior to that, Vinay served as Director of Sales & Marketing at Ericsson Alzato, an Ericsson-owned venture focused on large scale real-time databases.